This is a radical rethinking of the nature of consciousness. 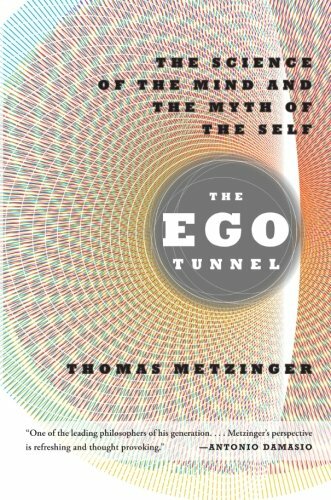 “The Ego Tunnel”, a major work from one of the brightest of the new generation of philosophers of mind, proposes a simple yet radical rethinking of the nature of consciousness and a fascinating and controversial exploration of what it implies. We’re used to thinking of the self’s relation to the world as a dyad-the inner me as opposed to the outer world. This model assumes that what we’re perceiving when we experience the world is actually the world. It’s almost impossible to escape a sort of naive realism when you employ this model, since the alternative is that the world outside yourself is a dream. Thomas Metzinger’s model, however, based on the increasingly sophisticated and bizarre findings of neuroscience, is different. There is an outside world and an inner, unconscious mind, but we directly perceive neither. Instead, both our outward perceptions and our inward consciousness are a kind of interface, a membrane, between the mind and the world. Everything that we experience is ‘a virtual self in a virtual reality’. This idea leads to a number of implications, scientific, ethical and pharmacological. If the interface is not ‘real’ then why and how did it evolve? How does the mind construct it? What does it mean to manipulate it? Do we still have souls, free will, personal autonomy and moral accountability, and if not, how can we retain institutions that assume all of these things? “The Ego Tunnel” is an indispensable guide to a new era when the science of the mind may displace evolution as the most controversial of the sciences.